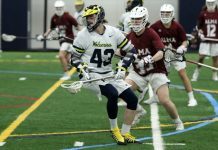 After a week-and-a-half break, the University of Michigan-Dearborn lacrosse team was welcomed back to the playing field with a couple of road games against some tough opponents. 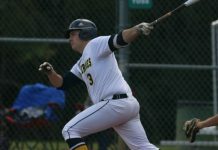 It started out on Wednesday with the Wolverines traveling to Lourdes to take on the 12th-ranked Gray Wolves. The Wolverines got out to a slow start and never recovered, losing to Lourdes 20-8. The Gray Wolves (9-2) got out to an early lead, ending the first period up 4-1. The Wolverines would show signs of life in the second period by netting four goals. 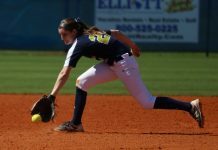 But, the second half would not be so kind to the Wolverines as Lourdes would outscore them 10-3. Matthew Rosteck and Hannibal Roda each found the back of the net twice during the contest. Anders Rasmussen, Andrew Dixon, Brendan Salva and Gerald Belanger each added a goal as well. 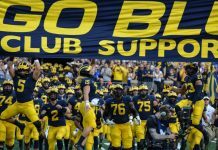 On Sunday the Wolverines traveled back to Ohio, this time to take on the No. 4 team in the nation — Dayton. Arguably the toughest match on the schedule for the Wolverines, the score reflected it as the Flyers defeated UM-Dearborn 14-3. The game was almost a mirror to the Lourdes game as Dayton (10-2) got out to an early 4-1 lead at the end of the first period. The Wolverines (2-7) would make things closer in the second period netting two goals and limiting the Flyers to just three. But second half struggles haunted the Wolverines as they were shut-out in the final two periods and outscored by Dayton 7-0. Goalie David Stephanoff said time of possession was a big factor in the deciding half. Roda would find the back of the net twice during the game and Rosteck contributed with a goal of his own. 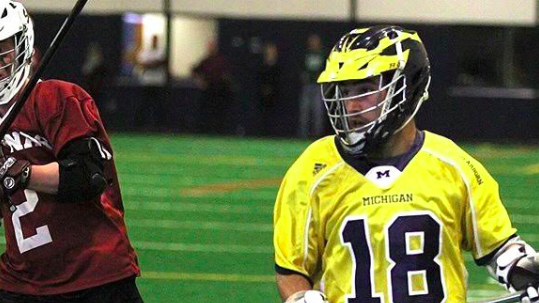 Andrew Dixon won six of the 10 faceoffs he took and Stephanoff made a career-high 19 saves. UM-Dearborn has just a week left of games as it will host Senior Night on April 13 when it welcomes Lawrence Tech to the Detroit Country Day Fieldhouse. Then on April 17, the Wolverines will travel to Siena Heights for their final regular season game.